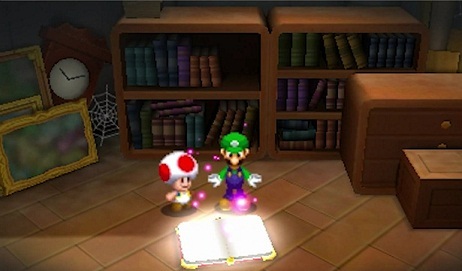 In Mario & Luigi - Paper Jam Bros. Mario and Luigi use their Bros. attacks to defeat enemies. You can unlock them during the course of the game. There are ten Bros attacks - five each for Mario and Luigi. Successful Bros. attacks are essential, for example, to defeat the secret boss to. At the beginning of the game you can get Bros. attacks from the previous games. Most attacks you will get without any problems in the course of the action - the rest we show you below. 3D Red Shell - At the beginning of the game in Peach's Castle - Mushrise Park. Rocket Blast - At your first visit to the Doop Doop Dunes. Bomb Derby - Driftwood Shore / Gloomy Woods, after Mario throws a bomb. Cannonball Chuck - Talk to the Toad with the speech bubble in Toad village in the Doop Doop Dunes, when you are in the dunes for the second time. Toad Trail - You will get it automatically shortly before the last major area of the game (Moint Brrr). Fire Flower - At the beginning of the game in Peach's Castle. Drill Shell - At your first visit to the Doop Doop Dunes. Dropchopper - At your second visit to the Doop Doop Dunes. Balloon Blast - Talk to the Toad with the speech bubble in the Driftwood Shore (Gloomy Woods - second visit), if you’re second time in the forest.